Students who have not purchased the required Jespersen 7th Textbook, will lose approximately 230 Points or about 20% of their grade scored as zero. You may use Wiley Plus for 14 days without charge if you did not purchase the text package in the book store. This means you may complete the first two if not three weeks of the assignments. There are reading assignment (no points); Assignment (~10 points per chapter); and Orion Exams (~10 points per chapter). Some older textbooks, still have web sites with interactive online teaching materials and self testing. 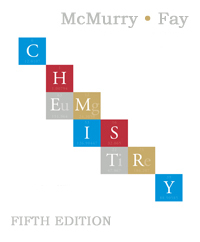 McMurry is going into the 7th edition, but still has the 65th edition web site. The student first selects the appropriate chapter. See the Module - Chapter equivalence below. 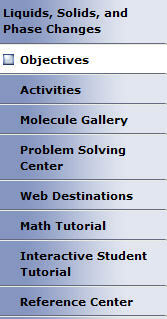 The student may click on Activities and Interactive Student Tutorials to access movies and other activites applications to the chapter.